There's always a way to brighten up a gloomy day. If you're feeling too tired or stressed at work, call for a soothing body massage to relax stiffed muscle. If you're brokenhearted, they say it helps getting hair cut or new hair color. Always remember stress not only makes us look older, it could also give many sickness. I wanted to end the year looking fab and feeling good about myself. That's why I make sure to squeeze-in and find time for myself. Having a good massage twice a month, hair cut when I feel the need, manicure and pedicure once a week, yoga as much as I can. 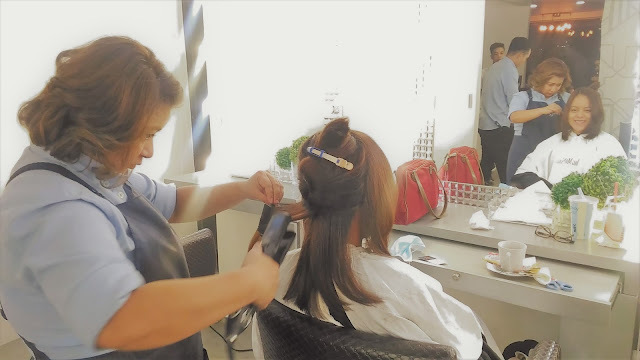 Last week I was at Jing Monis Salon at B Hotel in Quezon City. Initially, I was there to accompany hubby to M Barbers for scalp treatment and hair cut. 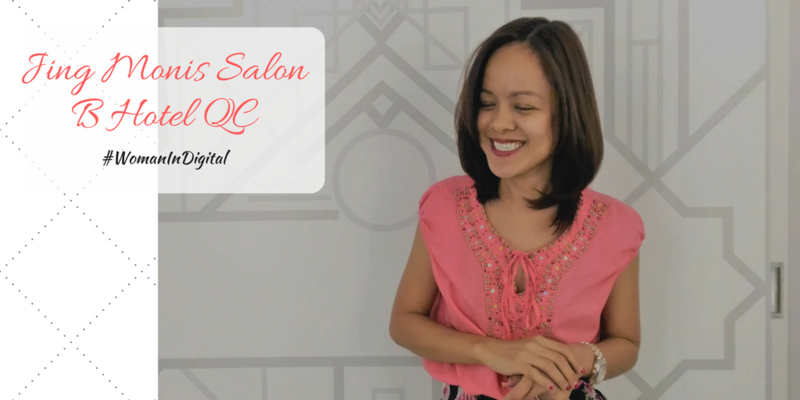 I found Jing Monis Salon staff very accommodating and professional. Right then and there I decided to avail the hair treatment which is just perfect since I had the last one about two months ago. Keratin Express Blowout was my choice. It's a great type of hair treatment because it could last longer, three months perhaps when using the right kind of shampoo and conditioner - sulfate free. The procedure lasted about an hour or so starting with rinsing my hair to get rid of pollution and dust. The next thing they did was to apply the Keratin Express treatment. Keratin Express Blowout starts at P2,+++ while Keratin treatment starts at P5,750 for short hair. 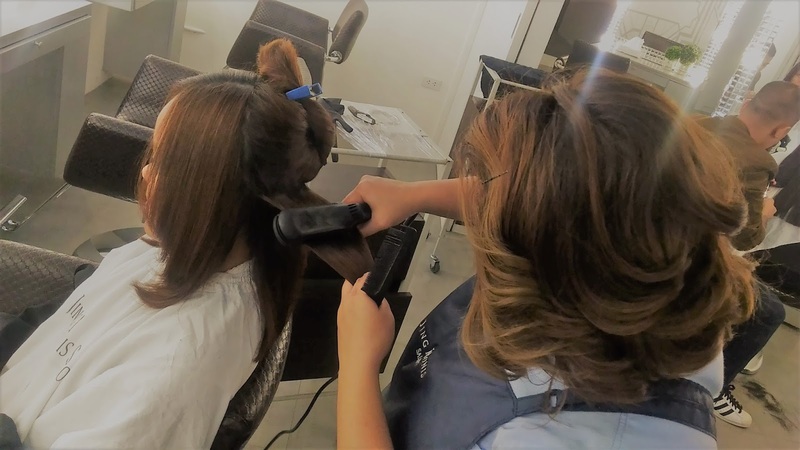 Better to visit Jing Monis and have your hair assessed by one of their professional hairstylists. Thanks to Romar Morillo for fixing my hair, Jing Monis Salon for the awesome keratin express blowout. Experience the Jing Monis, visit them at B Hotel in Quezon City, Bellevue Hotel in Muntinlupa and Greenbelt mall. Looking for a stylist? Ask JMS Style Consult, a 30-minute personal consultation with their stylist discussing your individual needs. Rate starts at P700.